Panama is one of the cities where you would find a large amount of real estate available for sale. You can get a chance to own a home either along the beach, in the beautiful mountains all decisions rests with you as Panama has a variety available to offer. 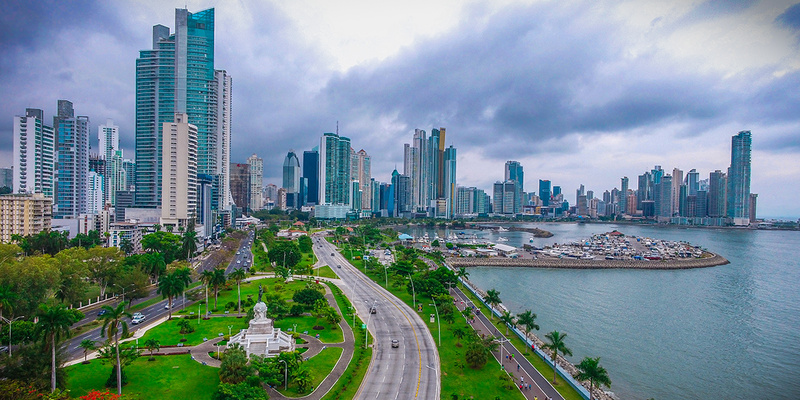 Panama is one of the most fabulous places that you would find affordable and luxurious housing that can be offered at a low cost making it an excellent hub for real estate. The cost of living in Panama is relatively small compared to other cities keeping into consideration that it has one of the best amenities that you need and are being issued at a lower cost. To buy a home in Panama is not that complicated. Foreigners get the chance to enjoy the same offers that the local citizens are being offered therefore this means If you are willing to purchase a home, you don’t have to go through strict property laws that can derail your dreams of owning a home in Panama. Most properties in Panama offers a high definition of luxury due to their modern state of facilities. This has resulted in purchasing a property even before construction is completed but this doesn’t mean you shouldn’t study the market before going ahead and buying a home. Panama is an excellent choice if you want the less expensive cost of living in a cosmopolitan. You get the chance to enjoy international banks, world-class restaurants, multinational businesses and another luxury at a lower price. For instance what you pay to enjoy in Panama is more often half what you would pay in Miami. The city has an excellent infrastructure compared to the cities in Central America and has a relatively low population of around 1 million that has a vast diversity. In Panama, it is easy to get better services. There is a high speed of internet, an excellent network of calls that means making communication even internationally to be at ease while the airport is quick and more efficient. If you are considering much efficiency, then Panama should be on your list. Most of the land and property in Panama are owned by individuals who act as real estate agents in property management. They sell a home at a fee cost of around 5%. Title insurance and escrow do not exist in Panama but making the deal in a local bank would be much advisable. You should have the property surveyed of its legality to sell and then consider an attorney before making the purchase. Not all areas where you can quickly get a title for the property bought. For instance, if you purchased a home in the San Blas region which has been dominated by Kuna Indians, title deeds would be challenging to acquire. People try to collaborate with the Indians in making the purchase but sometimes end up being frustrated. Some of the property also around Bocas del Toro is also owned by the government. Therefore, title deeds would be a hustle. Before making any home purchase, it is essential that you first ensure that the owner of the property has two crucial documents. These are the public deed that contains the site,and an encumbrances certificate that shows that he is the legal owner of the property. You should then find a lawyer who searches the property. In a situation where the seller does not have the documents, you can ask to be issued with the property number to use it for the search. The papers should always be legit and be signed and also contain official stamps. A sale agreement where you first give the required down payment then later consider having the possession. The person selling a home has to pay for the transfer tax and obtain a clearance certificate. The best way of making the balance payments is through a revocable letter from a local bank. The process will be done by a lawyer who assists you in acquiring the document. You can also consider giving the seller a bank draft. This process involves having the attorney file the documents with the civil, and it is the final step. The process takes a couple of weeks, and once that is complete, you will be issued with a registered deed.